I expected to be here this month telling you endless joyful tales of Christmas but, unfortunately, December has been tough for me. Every Winter I suffer from SAD and this year its arrival was not only early but also pretty fierce. 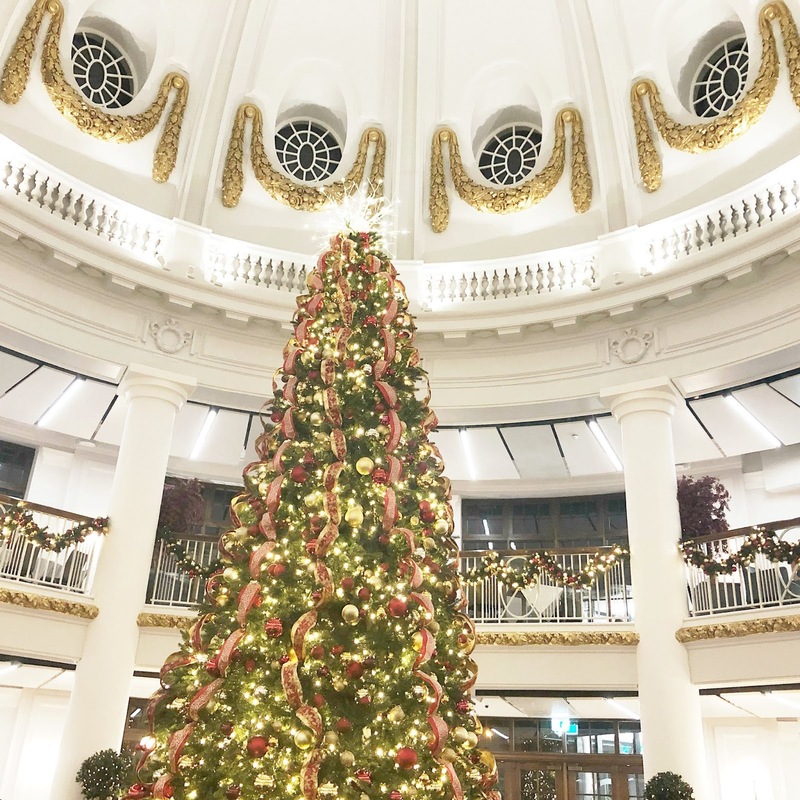 It was unexpected, I wasn't prepared at all and so spent a lot of my month in tears and feeling incredibly guilty about not appreciating Christmas time when I know that so many others have genuine problems to worry about. 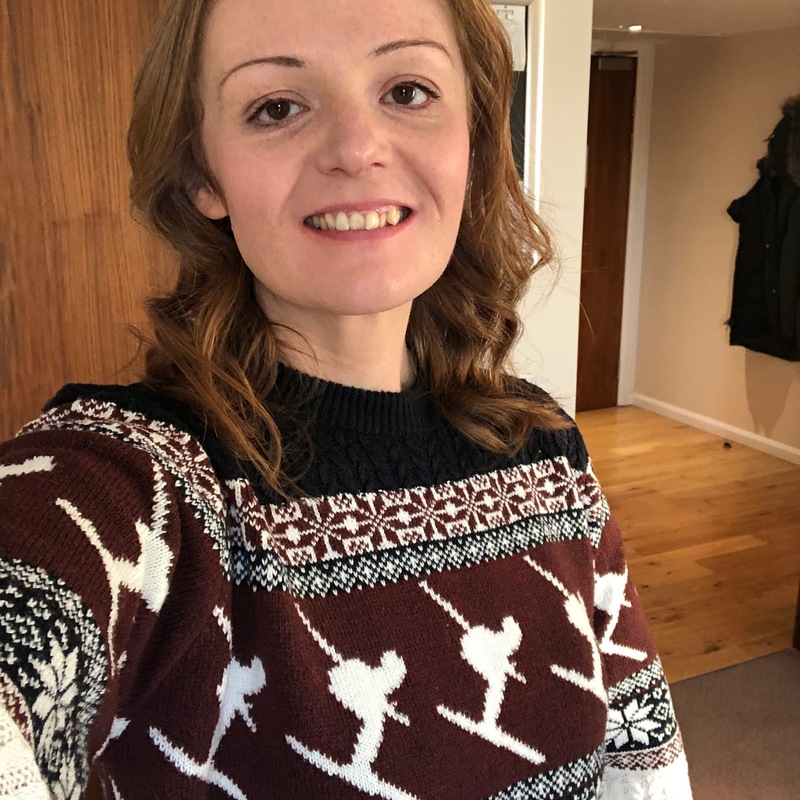 I lost my way, lost my spark and even lost any joy that I had in writing this blog, I have honestly thought about quitting so many times and, if I'm being brutally honest, I'm still struggling to find my joy for it even though I've had a long break. 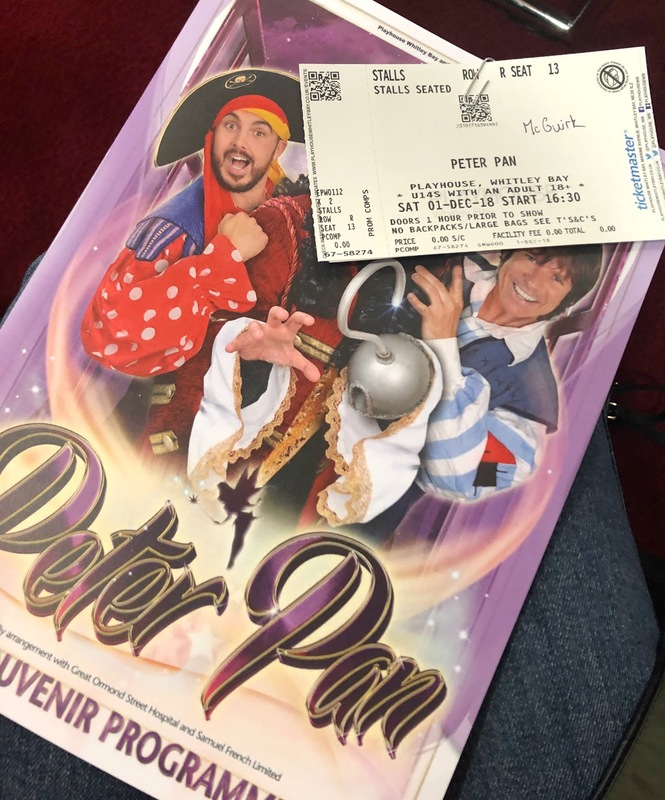 So I'm easing myself back in slowly with my usual monthly round up, here are some things that didn't make the blog this month. It's always hard to keep Simon's birthday feeling special when it falls a few days before Christmas. Last year I arranged a surprise trip to Dublin for his 40th and this year we decided to head down to Manchester for a few days. If you've never visited Manchester in December you really must go for their Christmas market, it is fantastic! We feasted on Grilled Cheese Sandwiches, stuffed ourselves with Apple Strudel and got tipsy on Cherry Punch before retiring to our beautiful room at The Principal - I feel like this needs to become an annual event. It's not every day you get to meet Rudolph and his pals a few days ahead of their big night pulling the Sleigh but thanks to Azure Garden Centre in Cramlington we got to say hello to these cuties this month and enjoyed hand feeding them before going on a little stroll through the Christmas department desperately trying to resist the urge to buy all of the baubles. We made our first ever visit to The Woodmans Arms in Whickham this month and were seriously impressed by what a beautiful pub it is. Just a stones throw from Gibsdie I think it'll be featuring heavily in our Sunday plans in 2019, we can't wait to go back and try one of their Sunday Roasts before having a nice long walk. There are some beautifully furnished little corners and an open fire so it's the perfect place to settle down in the Winter time and if you're heading that way yourself any time soon may I recommend the Rosie and Gin cocktail. Every year we arrange a special Christmas meal out with some of our closest blogger friends in Newcastle and this year we enjoyed the private dining room at Artisan - it's complimentary for bookings of 10 people or more and it is the perfect little space for your own party away from the main restaurant. 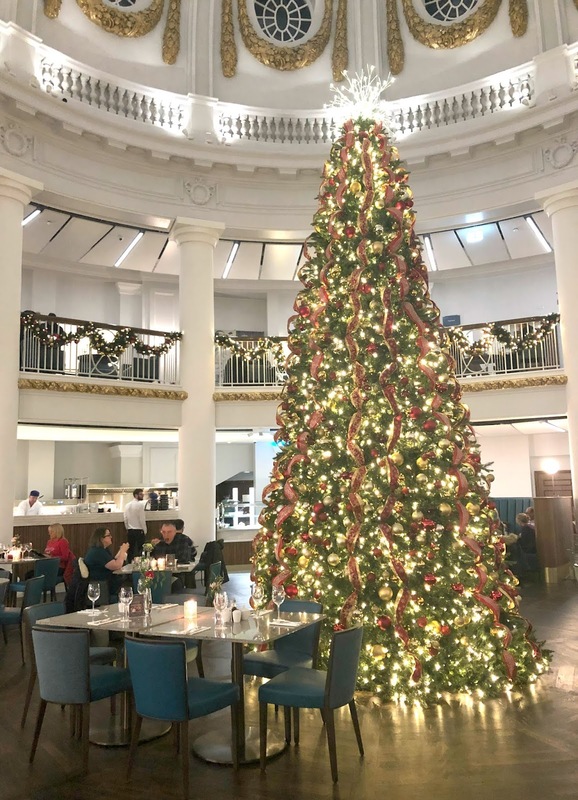 They were so accommodating and put together a special little set menu for us - £75.00 per couple for a three course Christmas meal with coffee and a bottle of wine. The food was outstanding and we decided pretty quickly that we definitely need to swing by Artisan in the New Year to try out their Sunday lunches. I have been trying to get tickets to the Christmas Evening events at Beamish for years and this year we finally managed to grab some (believe me those tickets are like gold dust!) We loved having the opportunity to explore Beamish in the dark and it looked so beautiful lit up for Christmas. Being complete novices we spent a lot of our evening dodging massive muddy puddles (the pros all had torches!) but the muddy feet were worth it for the festive goodies we picked up in the bakery. We spent our Christmas just the two of us in Newcastle but followed that with a few days down south seeing my family in Norfolk. Whilst I spend a lot of my time there desperately hoping not to bump into people I used to go to school with Simon likes to spend the time walking about with big moon eyes trying to convince me to move back to Norwich (not gonna happen buddy, I'm a North East girl!) My favourite day of our trip was rediscovering the gorgeous cobbled streets of Norwich, it may be many many miles away from Newcastle but if any of you are looking for somewhere for a beautiful city break in 2019 I highly recommend. I've spent my entire month slobbing about in my husband's jumpers and he is not amused. I started raiding his festive knits as soon as I discovered them hiding in the tinsel box and I've not taken them off since. They're so slouchy, hide a multitude of sins and are super cosy - I honestly don't know how I'm going to get through January when I can no longer wear jumpers covered in Christmas trees and reindeer - gutted! I've been building up my gin collection this month and am currently planning a trip to Ikea to purchase myself some kind of shelving to create my own gin bar in the corner of our lounge. My collection stepped a gear over Christmas with some very generous folks gifting me bottles of my favourite tipple and I even treated myself to this Boutiquey Gin from Asda. I've not really made a proper dent in it yet and it's seriously delicious so I'm wondering if I can drink Christmas gin all year round? Out of all of the festive treats we guzzled this Christmas (and believe me there were a lot) our favourites had to be these Brownie treats from Homebird Bakes. Beautifully gift wrapped, we almost couldn't bring ourselves to open them - almost! These gooey goodies were chocolate orange flavour, covered in delicious chocolatey Christmas treats and we ate the entire tray between two of us .. how embarrassing! Home baked right here in Newcastle if you're looking for a gift for a friend .. or yourself, you must check them out! I'm really hoping to get back to my normal happy self in January - I have invested in a SAD lamp and plan to start my New Year with a positive attitude, early nights and plenty of exercise so I have my fingers tightly crossed that normal service will resume soon and I'll be back here to share our adventures across the North East. In the meantime be sure to follow me on Instagram, I post a new photo every day and you'll find video diaries featuring all of my favourite North East adventures in my highlights. Long time readers of New Girl in Toon may well remember the disaster that was "the time I tried to decorate cupcakes" or when I embarrassed myself by "trying to make a 3D bird" - it's safe to say that me and crafting do not go hand in hand and you'd be hard pushed to find anyone as useless as me when it comes to creating something beautiful. 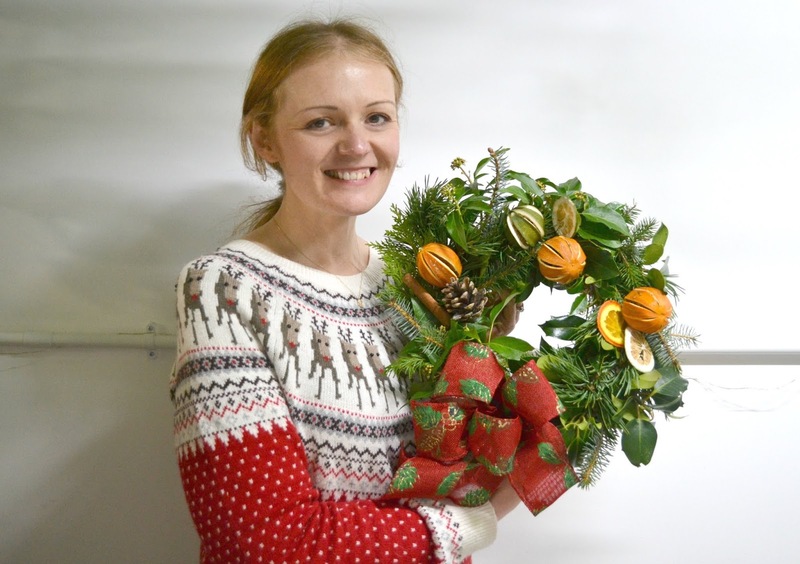 So you might be wondering why on earth I would sign myself up for a Christmas Wreath Making Workshop in Newcastle. Despite my limited crafting skills I have always quite fancied a go at making my own Christmas Wreath. I LOVE Christmas, enjoy decorating my home and, with the promise of mince pies and the chance to hang out with some lovely people while listening to seasonal music, I couldn't resist saying yes when House of Botanics in Stack invited me to try out their Christmas Wreath Making Workshop. Brace yourselves folks, Chloe is about to attempt to make her own Christmas Wreath! If you're yet to properly explore Stack, Newcastle's super cool container park at the old Odeon site on Pilgrim Street, then you may not have discovered House of Botanics. The most adorable little plant and flower shop - they sell a wonderful range of plants for your homes, gorgeous flowers for that special someone in your life, create beautiful displays for weddings and run botanical workshops throughout the year. Stepping into their little haven away from the bustling high street was the kind of calm I needed after a hectic run up to Christmas. As soon as the doors swung open I was greeted by the most beautiful earthy smell of plants and making my way through the green wonderland of the shop I found my way to the back of the store and owner Naomi's little workshop where she hosts her botanical classes. 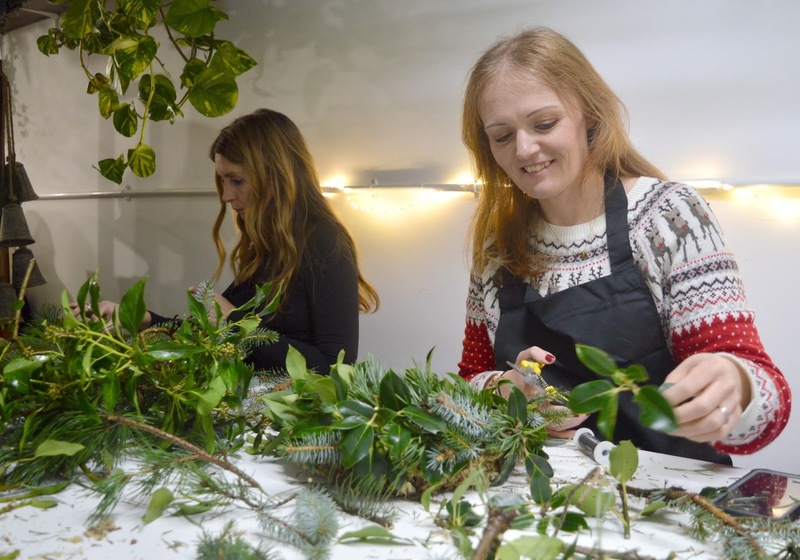 Workshops at House of Botanics are intimate and are the perfect place for a fun activity with your friends or to make new likeminded friends in the city. 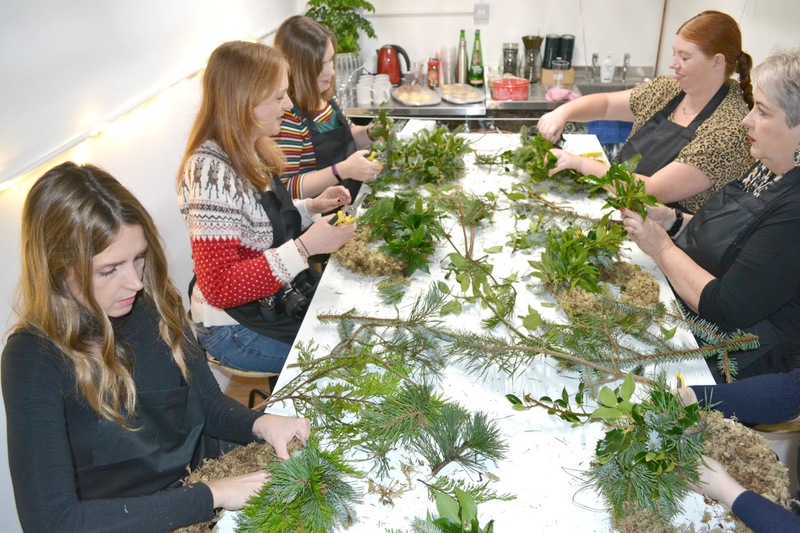 There were six of us at the Christmas Wreath Making Workshop which was ideal for ensuring that we had plenty of one on one help at creating our wreath and also ensured a wonderful laid back atmosphere. Once we were all kitted out in our aprons (despite my limited crafting skills as soon as I had that apron on I did suddenly feel like a florist!) it was time to begin. 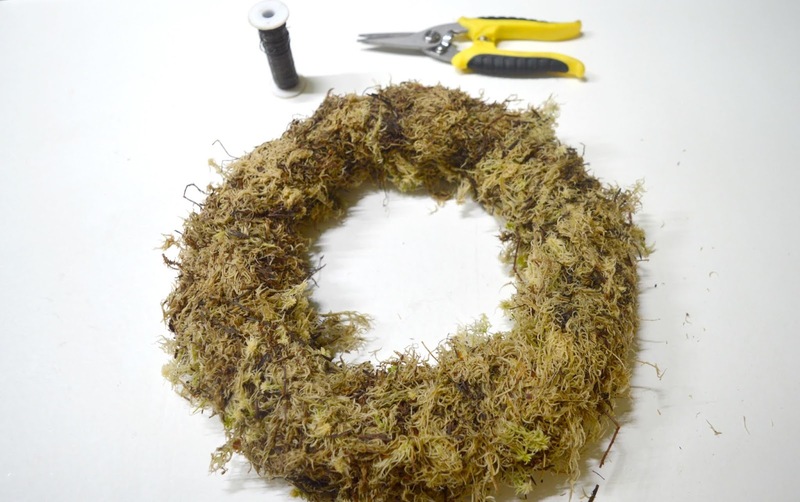 We were each given a pair of cutters and our wreath rings already covered in moss as a great starting point to begin our creation. Naomi had already started the process to save time but she did also give us a demonstration on what she'd done to get us to this point just so we knew exactly what was involved and then went on to explain what we needed to do to start our wreath. We then got to work creating our wreaths. 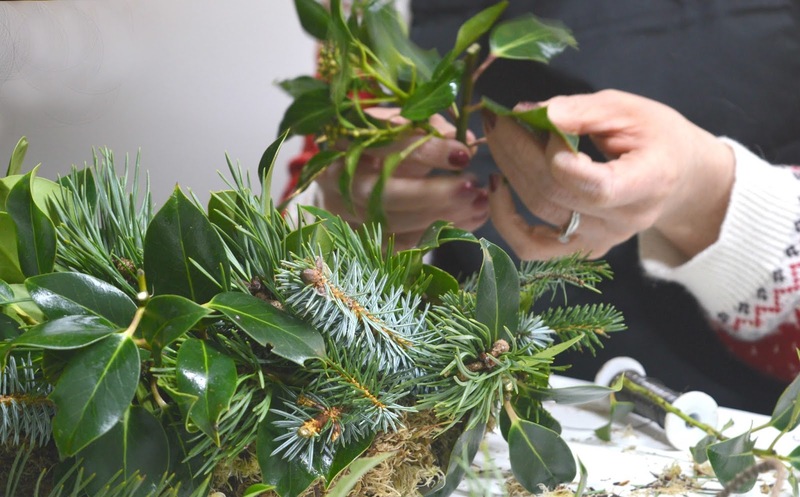 The table was packed out with loads of lush green foliage and we had our pick of Holly, Ivy, Spruce and Fir which we picked out in little bunches to cover our moss ring. I have to say as someone who isn't great at crafting this part of the process was an absolute joy because wreaths actually look better if they aren't put together perfectly. Being able to pick up whatever foliage I fancied, mixing it all up and attaching it to my ring wasn't only super easy but it was also quite simple to make my creation actually look like a wreath. Attaching the greenery to the rings was pretty simple and it was just a case of winding wire round the branches and then using the next pieces to cover up the exposed wire. I loved that it was so simple and I could actually chat whilst creating my masterpiece without needing to concentrate too hard and before I knew it I had completed the full circle and it didn't actually look half bad. 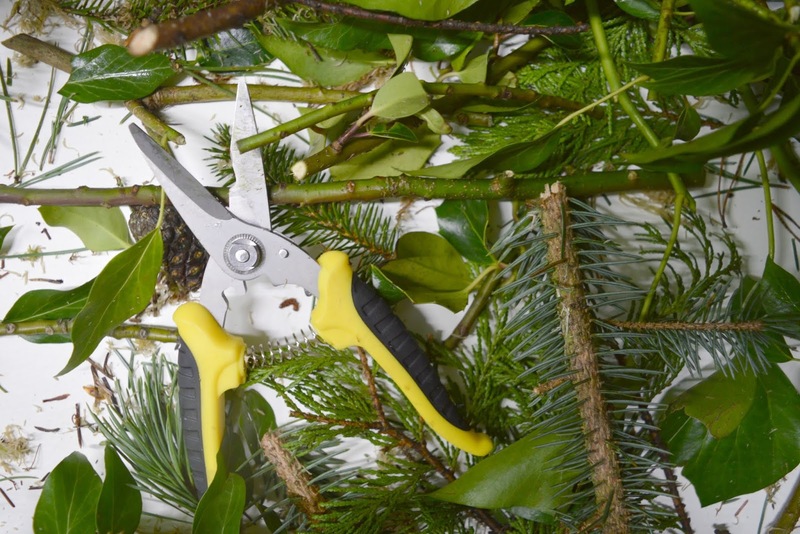 Christmas Wreath Making Workshops at House of Botanics include festive refreshments so once we'd attached all of our greenery it was time to stop for a little breather and indulge in a nice hot cup of tea and a few mince pies while we assessed our progress. I have to say looking round the table all of the wreaths were really taking shape and looking rather fabulous! The next step to creating our own Christmas Wreath was the all important decorating and this was where a little bit of creativity came into play (uh oh!) we made our way over to the selection of decorations on offer and each chose different bits and bobs to go on our wreath. The real beauty of Christmas Wreaths is that no two will ever look the same and there's no right or wrong when it comes to picking out your decorations. 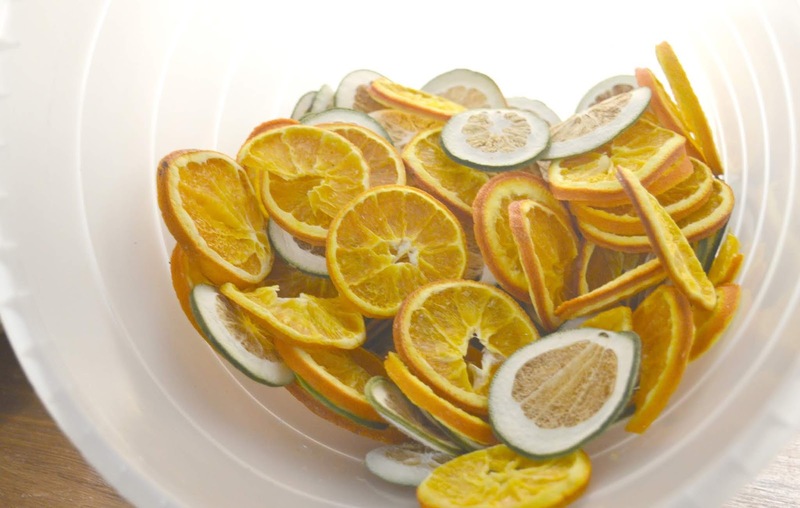 We had plenty to choose from and I went for some dried oranges (I'll admit I spent most of my time smelling them because they were absolutely delicious and reminded me of Christmas every time I had a whiff), pine cones and cinnamon sticks. Attaching the decorations was a little more fiddly than the greenery and it took a bit of care to push the wires through the oranges and wrap them round the pine cones but Naomi was on hand to help out whenever we got stuck. Leaving some room at the bottom for a bow we attached our decorations in little groups and when I had a slight paddy over not being able to get mine look quite right, Naomi was over within seconds to help me rearrange my pieces into a design that I was happy with. I do think that some of us have a natural creative flair and some of us don't and unfortunately I don't have a great eye for arranging things to look beautiful but with a little bit of help I managed to create a wreath design that I was happy with. The trickiest part of wreath making was definitely the bows. We had some beautiful ribbons to choose from and I went for a very seasonal red and green glittery ribbon which I knew would really give my wreath some extra festive cheer. We all watched Naomi create a ribbon a few times but, most of us gave up after a couple of attempts as it was a little fiddly. Super Naomi came to our rescue and, if I'm honest, I think she ended up doing all of our ribbons cos we all wanted perfect bows! Our 2.5 hours at House of Botanics was over before we knew it and as we headed out into the night proudly carrying our wreaths I couldn't wait to get home to show Simon my handy work. I like to think we're now the envy of our neighbourhood with our gorgeous homemade wreath hanging proudly on our door! What do you think? Follow House of Botanics on Facebook to keep up to date with all their botanical events and workshops. 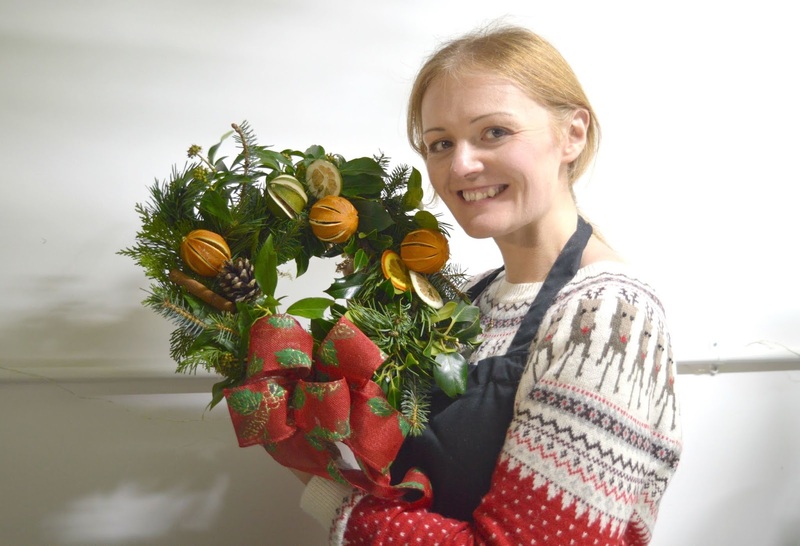 If you fancy making your own Christmas Wreath their next event is on Sunday 16 December at 5:00 pm and costs £35.00 per person. Book your place here. 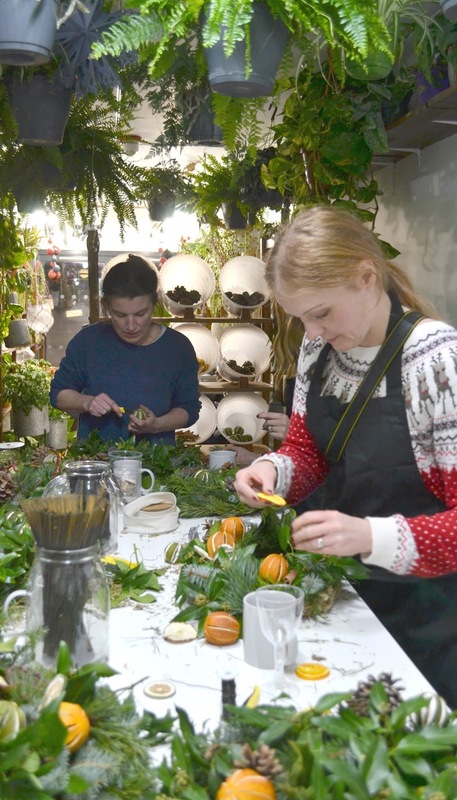 We were invited to House of Botanics for a complimentary Christmas Wreath Making Workshop. During my dash around the North East hunting for the best hot chocolates in the region I made my first ever visit to Love Lily, a cute tea room and cake shop by the sea on the beautiful Roker Beach in Sunderland. 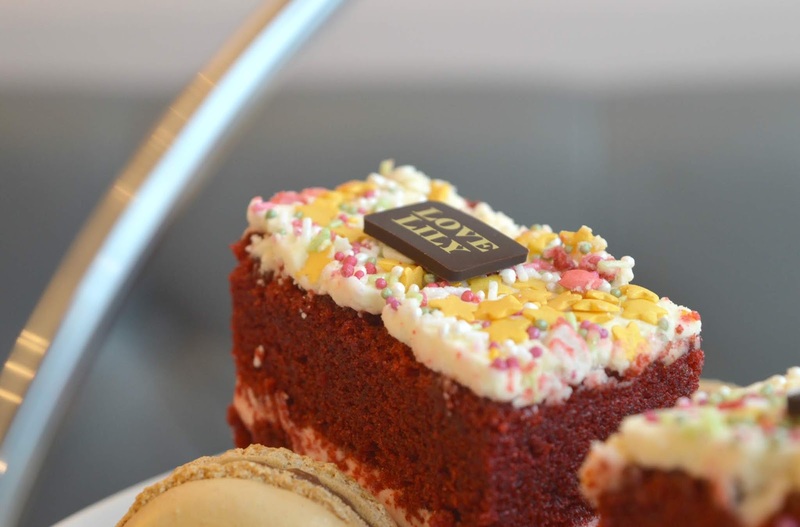 The charming little place is getting quite the reputation for its colourful cakes, indulgent hot chocolates and mouth watering breakfasts, in fact you'll need to be super organised to get yourself a table - it gets busy! Of course when I discover somewhere new for cake it's not long before I'm planning a return visit for Afternoon Tea and with Christmas just round the corner I couldn't resist a trip to Sunderland for Christmas Afternoon Tea at Love Lily, served throughout December it looked like one of the most delicious festive cake stands you'll find this season! Stretchy Santa pants at the ready, this is going to be a big one! We were warmly greeted on a wet and miserable Sunday afternoon and shown to a lovely table by the window (people watching at the beach is one of my favourite activities so I was in my element!) and within moments we had a glass of Prosecco in our hands. 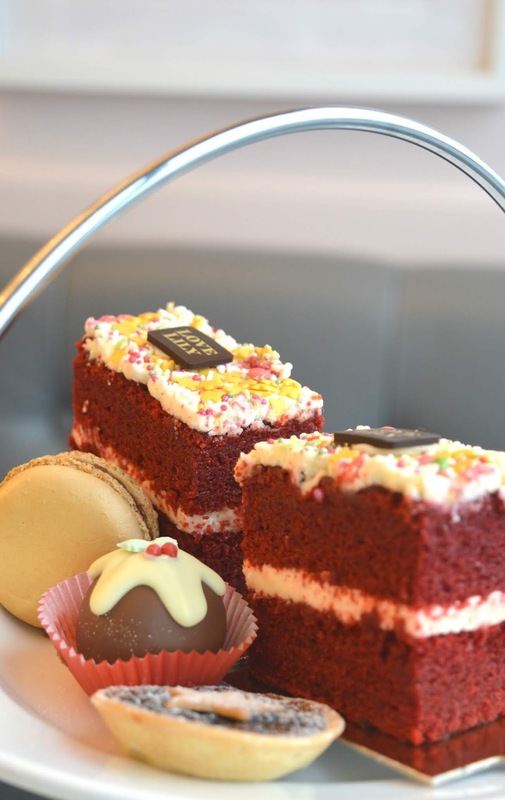 Yep, festive afternoon tea at Love Lily includes a glass of Prosecco or Peroni on arrival, I mean if you can't enjoy a cheeky glass of fizz at Christmas then when can you? 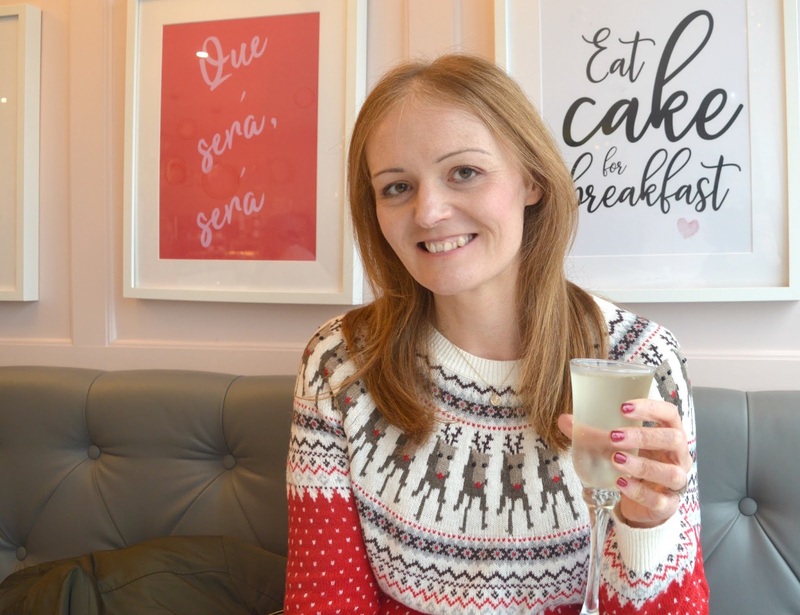 Raising a festive toast we settled ourselves down with talk turning instantly to Christmas - family plans, present ideas and party outfits, I don't know why but chatting festive plans in such a wonderful surrounding seems to take the stress out of everything. 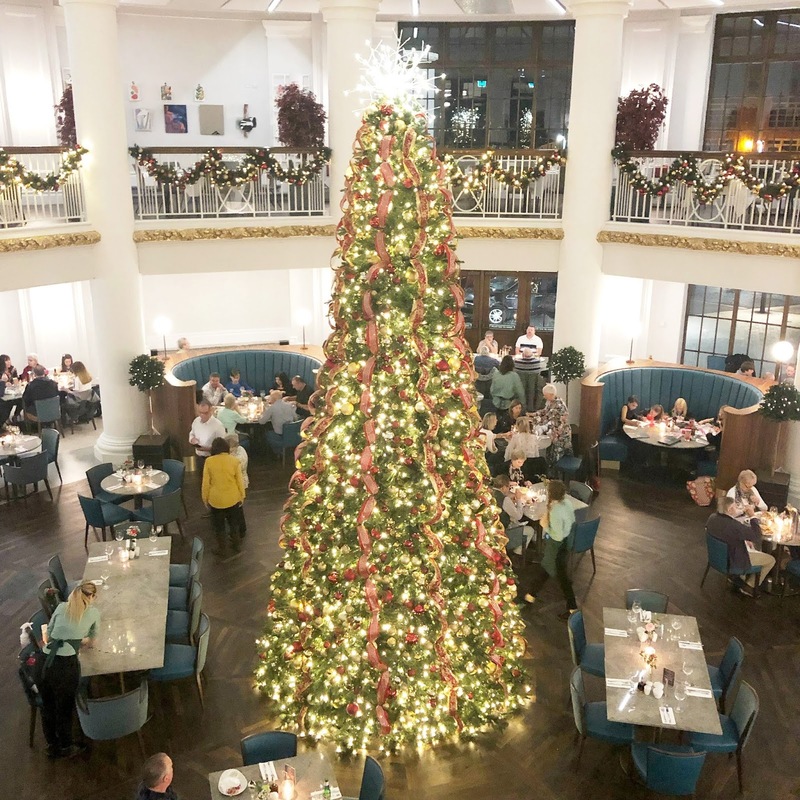 If you're feeling Christmas overwhelm I highly recommend just booking yourself a table at Love Lily, it's the best spot to take a few hours out of your hectic schedule. It wasn't long before our beautiful cake stand turned up along with a pot of bottomless tea for two (Ringtons of course, forever my favourite tea brand!) With amazingly attentive service our tea pot was never left empty and I couldn't even begin to tell you how many cups we sunk between us. 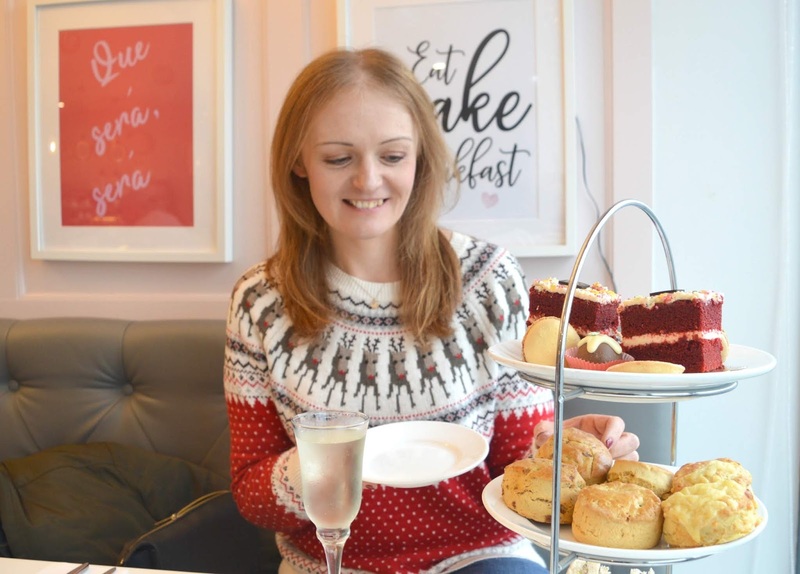 In my opinion a good afternoon tea always has to come with endless tea and those Christmas Elves were on hand at Love Lily to ensure that our teapot seemed to magically refill itself. There's nothing worse than running out of tea. Our cake stand was packed with three tiers completely covered in food! Starting with the assorted sandwiches on the bottom tier we had a lovely selection - Cheddar Cheese & Apple Chutney, Roast Ham with Wholegrain Mustard Mayonnaise, Turkey & Cranberry and Stuffing & Cranberry. With the crusts cut off the bread, the sandwiches were so delicate, perfect for a proper afternoon tea. The bread was really fresh and squishy and the fillings were generous. I knew from the first tier that we were truly onto a winner. 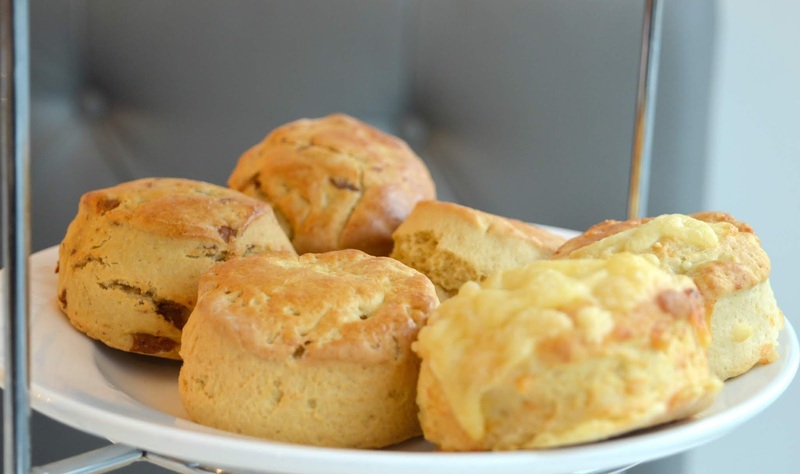 I LOVE a scone, and at Love Lily you get three and despite being described as "mini" they were generously sized and I knew that despite being a pro at defeating afternoon teas I'd never be able to get through them all. The Cheddar Cheese Scone was divine - with huge chunks of cheese and a perfect consistency they were served with proper butter (the kind I'm not allowed at home as I'd just get greedy with it!) and were so good completely slathered in butter. The other scones on the tier were sweet - Vanilla and Spiced Fruit both served with Raspberry Jam and Clotted Cream. I always used to be more of a fan of strawberry jam on an afternoon tea but recently Simon and I have decided we actually prefer raspberry so I was very happy that Love Lily seem to share my love - raspberry jam with scones honestly is just the best. Scones are so hard to get right and so many times I've been left disappointed by an afternoon tea when the scones haven't been up to scratch. Love Lily make a damn good scone, some of the very best I've tried in the North East and believe me that is a huge compliment! After a short rest we were ready to tackle the final part of our festive afternoon tea, the indulgent cake tier. Beautifully presented with loads of colour we had a beautiful selection with Chocolate Orange Macaron, Sticky Toffee Pudding Truffle, Red Velvet Cake and Mini Sweet Mince Pies. Knowing it's always best to go for the lightest option first (they don't call me the North East Queen of Afternoon Tea for nothing you know!) we started with the Chocolate Orange Macaron swiftly followed by the mini Mince Pie. Both are two of my favourite flavours of Christmas and the perfect addition to Festive Afternoon Tea. Next up was the Sticky Toffee Pudding Truffle - WOW! The most indulgent richest chocolate treat you could ever imagine, it was absolute heaven but unfortunately finished us off. There was no way we could manage the Red Velvet Cake after that so we boxed that up along with the scones that we couldn't quite manage) to enjoy at home later. Nothing beats festive leftovers and the Christmas Afternoon Tea at Love Lily gives you the very best leftovers you could ever imagine. 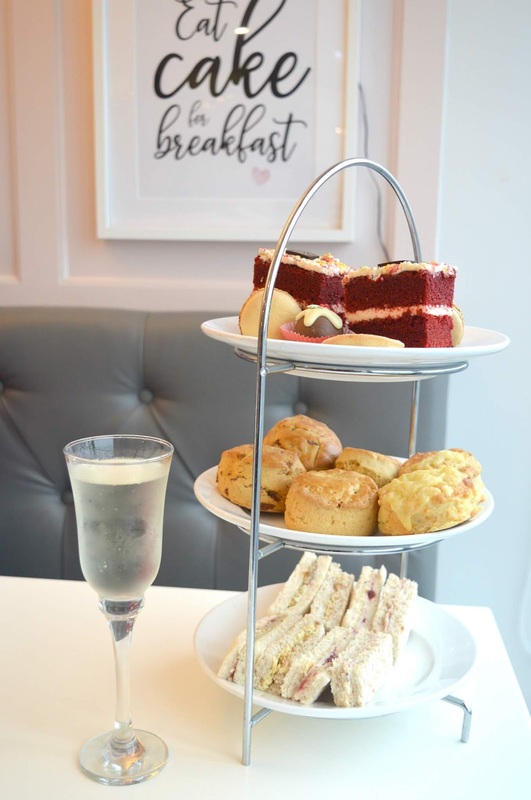 I absolutely loved my first afternoon tea experience at Love Lily and it has easily made its way into my top five afternoon teas in the North East, if you've not yet been for a visit you really must make a plan. 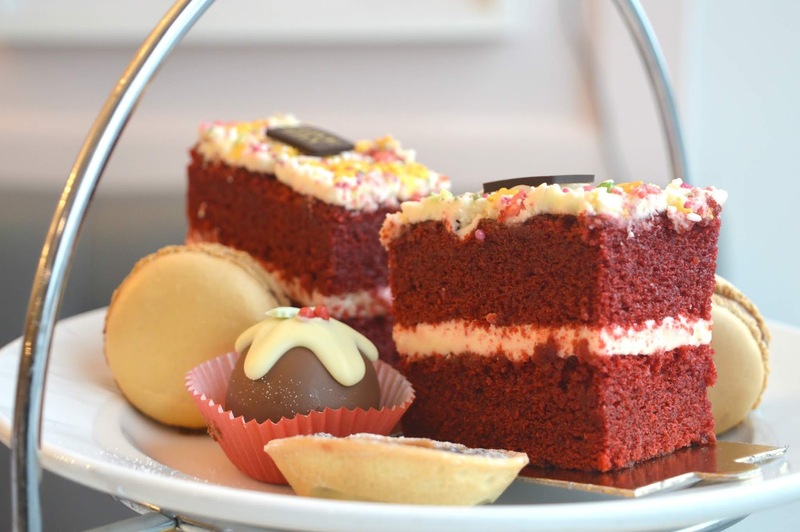 Christmas Afternoon Tea at Love Lily costs a very reasonable £18.95 per person and includes a glass of fizz and bottomless tea. 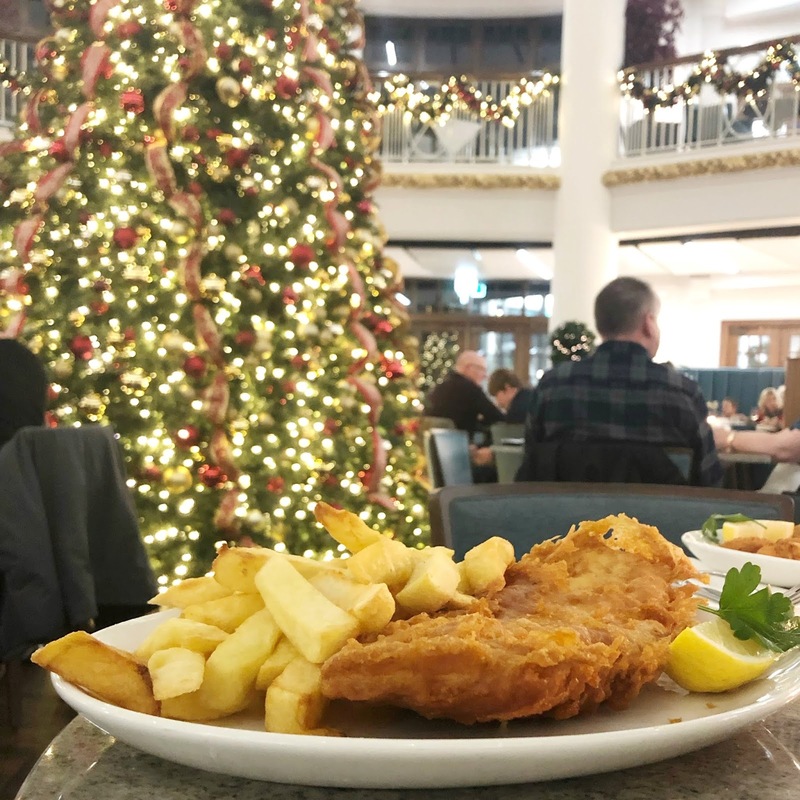 If you fancy feeling extra festive they are also hosting Festive Afternoon Teas with live music every Saturday in December for £25.00 per person. Please make sure you book 24 hours in advance and if afternoon tea isn't your thing make sure you're following Love Lily on Facebook to find out about the other treats they have available this Christmas. We were invited to Love Lily for a complimentary Afternoon Tea for Two in exchange for this honest review.